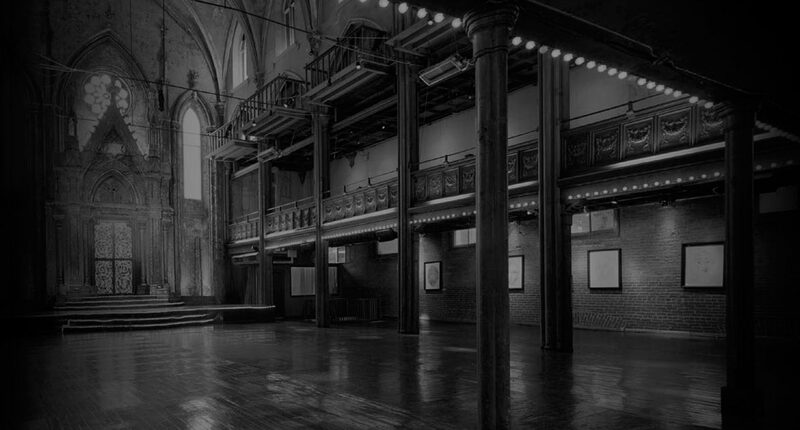 The Angel Orensanz Foundation for the Arts was established in 1992 as an artistic and cultural resource open to artists, writers, thinkers and leaders from all over the world, and to the community around us. Over the years we have welcomed and been inspired by Philip Glass and Spike Lee; Arthur Miller, Alexander McQueen, Salman Rushdie, Maya Angelou and Alexander Borovsky; Elie Wiesel and Chuck Close. We cooperate with PS1/MoMA; The Goethe Institute and the Whitney Museum, New York; The Italian Cultural Institute, New York University; Columbia University and Princeton University; the National Russian Museum of St. Petersburg and the Royal Shakespeare Co. of London; The World Council of Peoples for the UN, the United Jewish Council and the American Academy in Rome, between others. We work with independent artists from all over the world to develop here educational and artistic projects. The Foundation has just opened a digital department of cultural and artistic projects with a strong educational basis in the community. We publish a quarterly magazine, Artscape; a weekly TV program on MNN, and maintain an archive of 50,000 pictures of the work of Angel Orensanz. We run a library of social and cultural history as well as a collection of thousands of digital files and video of Angel Orensanz. The Foundation prides itself in maintaining the building at 172 Norfolk St., the former Ansche Chesed Synagogue (1849), in its architectural integrity and in the tradition of the German Reform Movement of the mid 19th century. Click here for our flickr page to see the space.